MIAMI (April 9, 2018) – Continuing Carnival Cruise Line’s commitment to providing guests with the widest variety of choices at sea, the line has dramatically expanded its retail offerings with its newest ship, Carnival Horizon, featuring the fleet’s most expansive retail space showcasing top brands like LeVian, Victoria’s Secret and, for the first time, Michael Kors, Kate Spade, Breitling and Hublot. Designed to take Carnival’s retail offerings to the next level, Carnival Horizon is distinguished by its modern two-level, mall-style shops located along the ship’s atrium on decks 4 and 5 with branded outlets providing guests with a fun and engaging shopping experience. “We’ve significantly upgraded our retail choices and spaces in recent years and with Carnival Horizon we’re raising the bar with our biggest and best shopping experience yet,” said William Butler, vice president of retail services at Carnival Cruise Line. Carnival Horizon brings these areas to life by offering a truly immersive shopping experience including a Beauty and Fragrance Bar that allows guests to try out cosmetics, skincare and fragrances and even enjoy a makeover before a night out on board. Port Side Liquor & Tobacco features a Spirits Tasting Bar where guests can sample and purchase some of the world’s finest liquors, including coveted Hennessey White currently not available outside of travel retail. Guests can also take home their own personal keepsake at the Create Your Own jewelry experience within the Hip Fish outlet where they can custom-design jewelry made of Swarovski crystals. There’s also the Wearable Tech outlet featuring the latest wearable technology with onboard experts on hand to match guests’ style with a variety of watch brands tied to fitness tracking. Shopping aboard Carnival Horizon is a true “retail-tainment” experience including special events and engaging spaces with expert staff enhancing guests’ experience by providing giveaways, in-store parties and entertainment, other promotions. Promotions change daily with flexible pop-up spaces that showcase new fashion and jewelry trends, making Carnival Horizon unlike any other shopping experience, land or sea. “Our guests are all about participatory fun and Carnival Horizon certainly takes that philosophy to the next level offering not only opportunities to sample the finest products but also keep up with fashion and beauty trends with interactive outlets staffed by experts to help them make the choice that’s right for them. There’s nothing else like it!” Butler said. Carnival Horizon’s expanded retail offerings are part of the line’s continued emphasis on enhancing guests’ overall shopping experience. 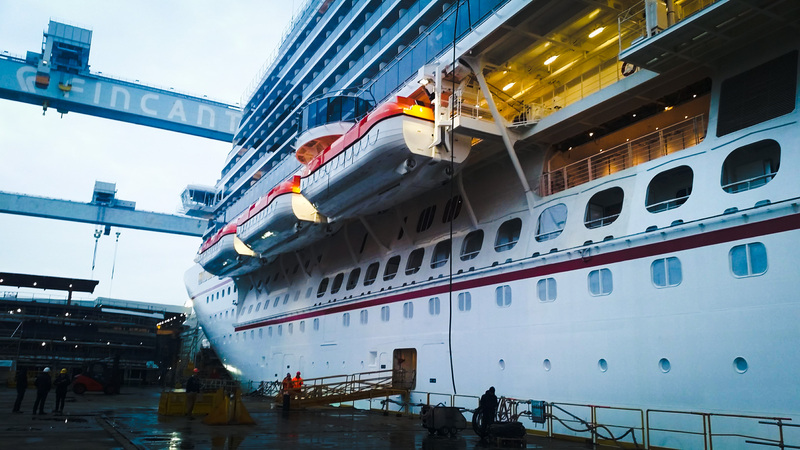 Over the past year, Carnival Cruise Line has completely revamped the shopping outlets on nearly half its fleet with additional ships set for makeovers during upcoming refurbishments. Αναρτήθηκε από geop στις 12:53 μ.μ.